Re: Alex Jones Calls For Trump To Invade Venezuela? 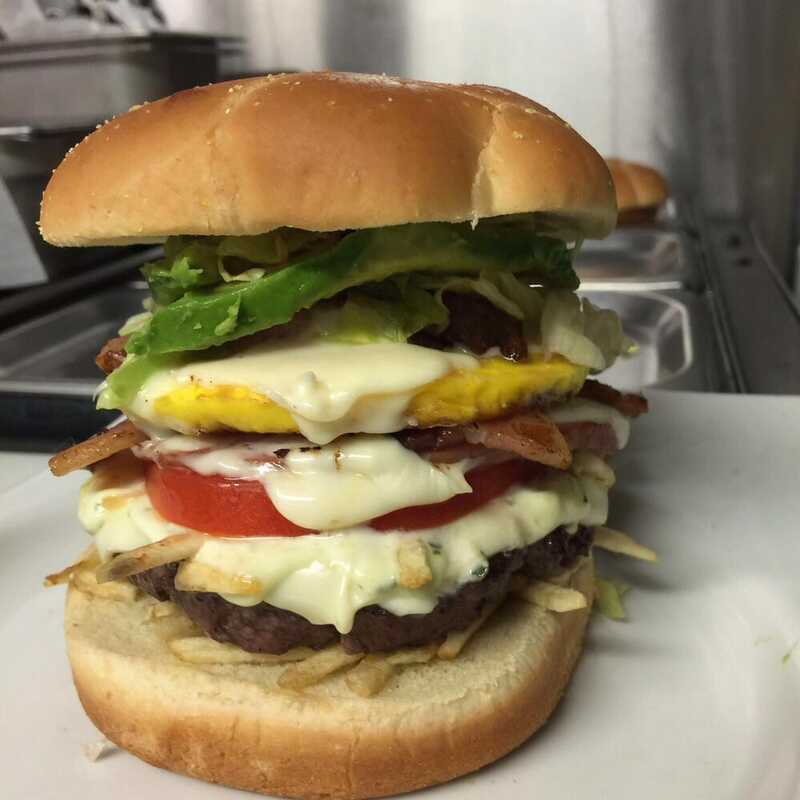 This is a "Venezuala Burger". Yes I actually heard him call for invasion. I think he'd just eaten a whole char-grilled Bison. What no-one is considering is what happens when Jones is gone. I don't listen at all to the MSM but about three-off, 3-minute news spurts a fortnight. Sure Jones is infuriating to a Britisher. I get the 'cultural-difference'. I accept it. The MSM is all but stagnant. Jones is now mainstream media multi-millionaire wearing with pride his "Alt-Media" badge. Yet he still holds out his begging bowl to the public, in-between selling snake oil at above average prices. Watching him go full Neo-Con was pretty awful. How anyone can follow him after calling for martial law, or bellicose beating of the neocon war drum defeats all reason. Not surprising. He choose his side a while ago. He will ride this neocon Trump operation until it is no longer viable and then he will latch onto something else. He is know different than Rachel Maddow and other establishment mouth pieces. 'U.S. Vice President Mike Pence urged the United Nations Security Council to revoke the credentials of Venezuela’s UN envoy and throw its support behind interim President Juan Guaido as the legitimate leader of Venezuela. “The Western Hemisphere has spoken with a clear voice –- nations across the world have spoken –- and now it’s time for the United Nations to speak,” Pence told the Security Council on Wednesday where he announced the U.S. would soon introduce a resolution supporting Guaido. “Nicolas Maduro is a dictator with no legitimate claim to power, and Nicolas Maduro must go,” he said, referring to the country’s president. At one point during the hearing, Pence looked over at Venezuela’s envoy and said, “With all due respect, Mr. Ambassador, you shouldn’t be here. You should return to Venezuela and tell Nicolas Maduro that his time is up. It’s time for him to go.” The U.S. has been seeking to lead a coalition of nations to isolate Maduro’s regime and shore up support for Guaido, the opposition leader who was declared interim president by the country’s national assembly. But a U.S. resolution calling for free and fair elections earlier this year was stymied by Russia and China, who have long been allied with Maduro’s government. A new resolution is likely to face similar opposition. With the crisis at a stalemate, humanitarian conditions in Venezuela have continued to decline. A report last week said the country’s health system is in “utter collapse.” It cited the spread of vaccine-preventable diseases, such as measles and diphtheria, rising infant mortality and sharp increases in the transmission of infectious diseases including malaria and tuberculosis. Child malnutrition is widespread, according to the report by researchers at Human Rights Watch and the Johns Hopkins Bloomberg School of Public Health.